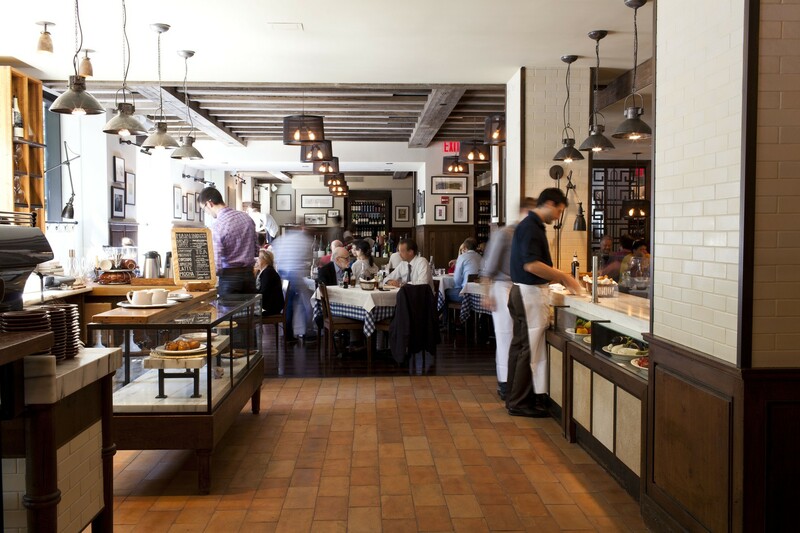 Not long after it first opened, we wrote up a less-than-glowing review of Danny Meyer’s Roman trattoria, Maialino. We had high expectations due to Meyer’s flawless record, but flaws were found, and the verdict was levied accordingly. Steinthal actually compared the place to every great band’s worst album. Ouch. But what I’ve come to realize, after a bunch of recent visits, is that maybe this is a perfect example of when the “critics” (we refuse to actually call ourselves that) were wrong. Maybe Maialino is really Paul’s Boutique or Weezer’s Pinkerton. Those now legendary albums were both panned early on, but lived on to become respected as works of greatness, regardless of early opinion. The only problem with that theory is that we were pretty much the only ones that didn’t like Maialino from the start. Ignore everything I just said. Maybe we’re just that fat record store clerk that hates everything. There are a few specific things that changed our mind on Maialino and led to this re-review. First of all, we know way too many people that count this place among their favorite restaurants in the city to ignore that. Second, we had an incredible brunch here last year and felt the need to come back in for dinner. A handful of visits later, and we were ready to atone for our sins - but that’s not to say that there aren’t still some flaws. It’s almost impossible to get a reservation at a decent hour here, and we find their wine pours to be annoyingly shallow. The crowd is also typically a strange mix of one Olsen twin and a bunch of old guys that wear stonewashed jeans and suede driving shoes. But the pastas at Maialino are some of the best we’ve had, and brunch is almost a religious experience. We’ll get into it in the Food Rundown, but let’s call this one what it is - us getting it right the second time around. A bar menu-only item that’s basically arancini, but with tomato risotto and mozzarella inside. They’re excellent and guaranteed to be so hot inside that you burn the sh*t out of your mouth. Ok, maybe only I do that. A fairly standard order of tiny fried artichokes - we’re never mad about eating them, but they won’t be the star of your table, either. A very simple long Roman noodle with cheese and black pepper. This has been one of our favorite things to eat lately at Maialino, and it gets even more respect now that our friend says it’s the only pasta she’s tasted that takes her back to her trip to Rome. I suppose that means they got it right. Either way, we love it. This amazing bucatini is perfectly al dente and sits in a spicy tomato sauce with pork jowl. I could eat a lot of this. We’re the last ones to get on the ramp bandwagon around these parts (relax, people), but this pasta on the Maialino menu is awesome. The only problem is that the ramps can be a little hard to chew through, but we’ll blame the ramps instead of the chef. In your face, ramps. This is the Maialino specialty - a big piece of crispy-skinned pork that serves anywhere between three and five. It’s a big crazy piece of meat, and it’s good, but we honestly get more satisfaction from the pastas and the brunch items here. Toffee-glazed brioche. Holy lord, you are going to want two of these. Even after you eat a ridiculously heavy brunch. Don’t touch me. I’m eating. Two poached eggs with brussels sprouts and turnips. We couldn’t believe how much we liked this. Our favorite dessert (though the bread pudding is awesome, too), this is a lemon tart with pine nuts. So good.